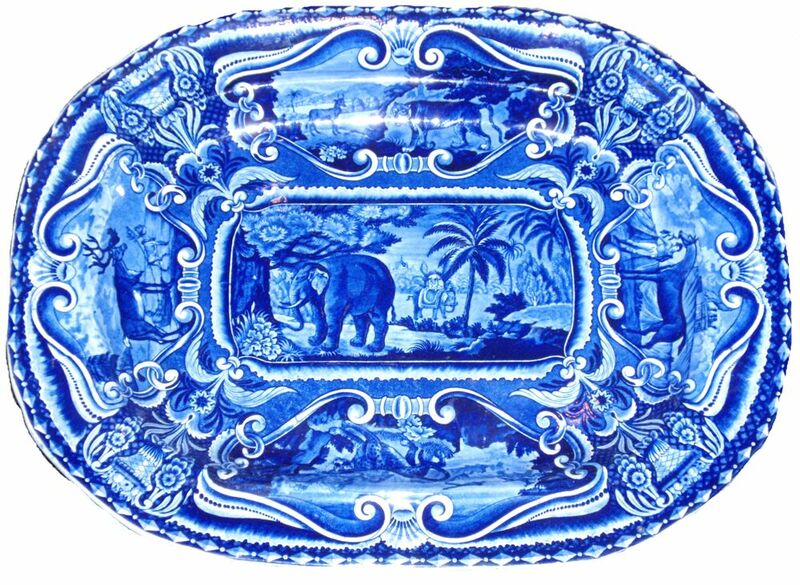 As the editor of the Animals category for the Transferware Collectors Club, I have a great interest in knowing the names of the animals. This is not always easy. 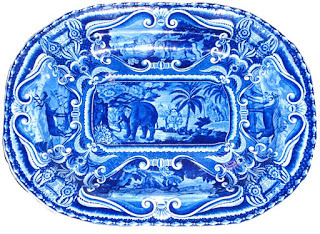 Luckily, most of the animal patterns were copied by the Staffordshire and other British potters from popular 19th century books on natural history. In this post, I am focusing on the "Quadrupeds" 18 inch by 15 inch platter. The center animal is obviously an elephant, but it took me awhile to find the source print. 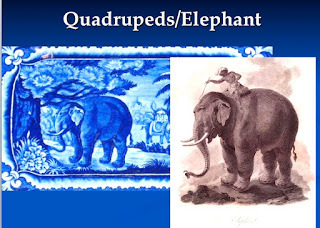 It is from "The Cabinet of Quadrupeds" by John Church (published in 1805). The elephant is missing his handler and the vaguely Indian scene acts as camouflage, but this is the same elephant. 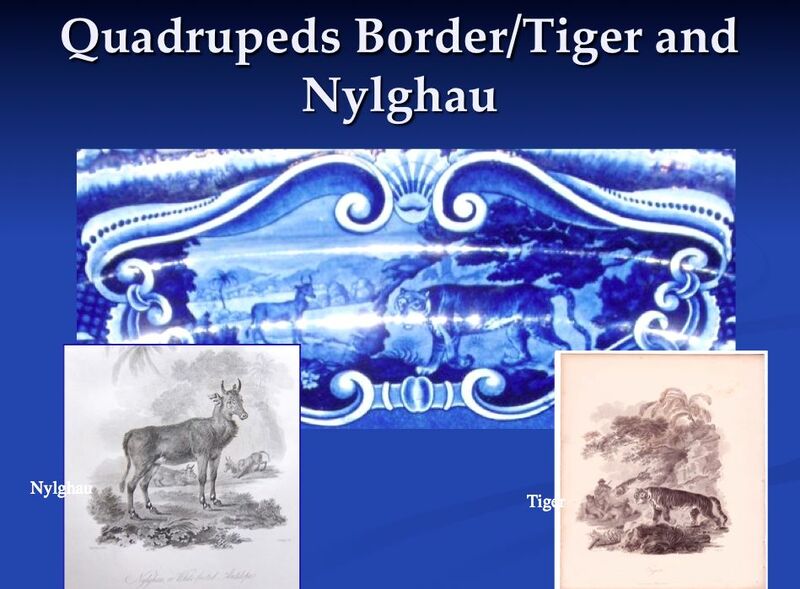 I looked in "The Cabinet of Quadrupeds" for the border animals before I checked Thomas Bewick's "A General History of Quadrupeds" (1791) or Samuel Howitt's engravings for a book of Aesop's Fables (publication date unknown to me). Both of the aforementioned books were used by John Hall for the "Quadrupeds" series. 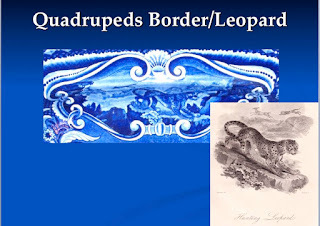 I found the platter's cartouche animals in "The Cabinet of Quadrupeds." The cartouche at the top of the platter shows a tiger and a nylghau deer. 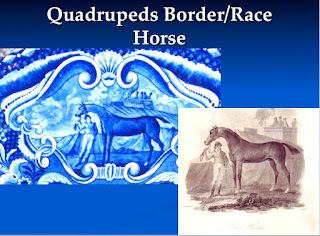 They are separate engravings in "The Cabinet of Quadrupeds," but were stuck together on the platter. Moving clockwise, the second cartouche shows a racehorse and jockey. I don't consider a racehorse an exotic animal. The next shows a leopard who appears ready to spring on its prey! 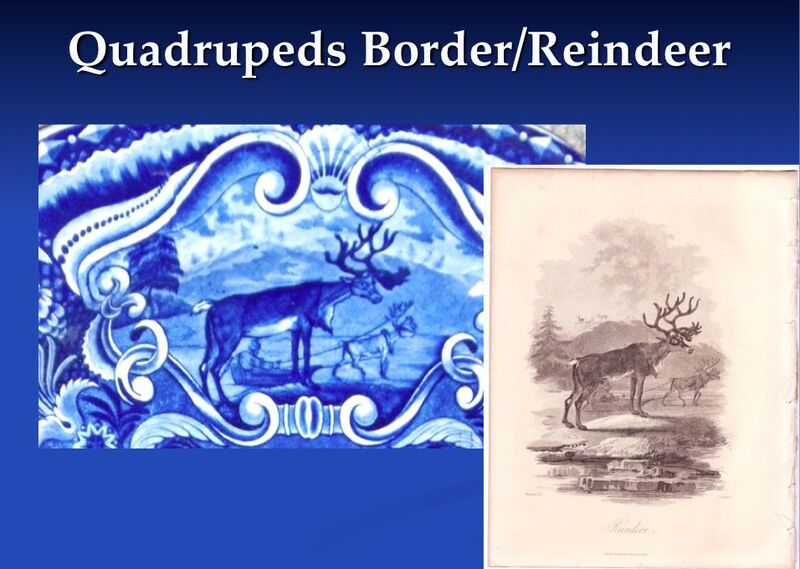 The last illustrates two reindeer, one of which is pulling a sleigh. I will eventually figure out the names and source prints for all the animals in the other "Quadrupeds" patterns, but that is a job for another day. 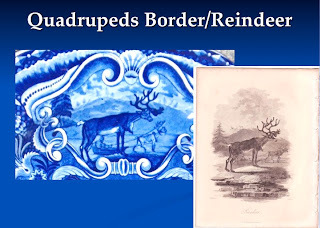 * The number of border cartouches varies depending on the size of the item. 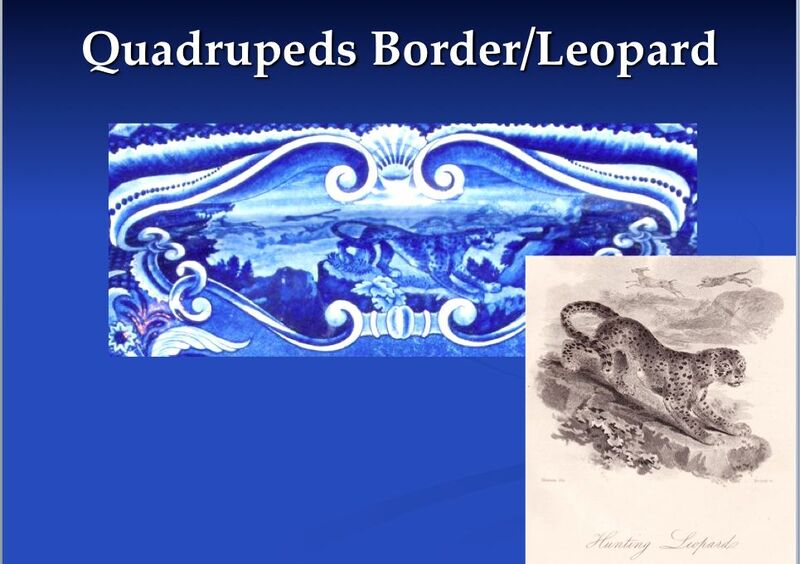 Some of the smaller plates have only three border cartouches and the cup plate (Hyena) has none. You may already have noticed that one of the cartouches above contains two animals in one border!